No one knows why Tabris, a guardian angel, killed the child he vowed to protect. The boy Sebastian got into Heaven, but the angels don't understand why Tabris isn't in Hell. Instead God's given him a second chance. Although he struggles to help this new child, a ten-year-old girl named Elizabeth, Tabris can't escape what he did with Sebastian. Elizabeth's co-guardian doesn't trust him at all, which makes sense because even Tabris doesn't trust himself. 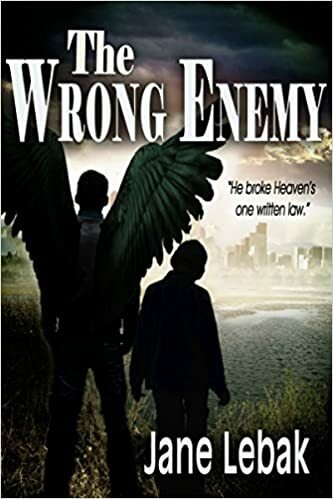 Everywhere he goes, the angels all know what he's done, and the only angel who seems to want him is a friend from long ago, now a demon. Though I've been a Christian since childhood, I've mostly avoided the Christian book sections since high school. I just got tired of stories that were safe, trite, or predictable. The Wrong Enemy is, thankfully, none of those things. This book was a breath of fresh air, or maybe of grace, with constant driving tension as various characters search for a motive (was it justified? Is that why the angel has been forgiven? Is there something darker at play?). The angels manage to have unique characteristics, even ones that might be perceived as faults (but what is a fault if not a positive trait taken too far or ill-used?). I really enjoyed this book.